For a number of years, Del Taco has been one of the best places to grab some Mexican food in California. This is an institution in The Golden State, one that can rival bigger chains like Taco Bell in terms of popularity. There are more than 500 Del Taco locations around the world with a focus on fresh tacos and tortillas, creamy guacamole, spicy salsa, and all the other hallmarks of fine Mexican cuisine. It is often said that the best Mexican food outside of Mexico is in Texas. The Texans have lived, breathed, cooked and worked alongside Mexicans for over 100 years after all. But Del Taco has brought some of that Tex-Mex flair and that traditional Mexican cuisine to the heart of California. And thanks to the massive growth that this fast food chain has undergone over the last couple of decades, Del Taco also have locations in several other states. When Does Del Taco Close / Open? : It is open 24 hours a day. 7 days a week. Is There a Del Taco Near Me? : If you live on the West Coast it’s likely. What is the Del Taco Secret Menu? Few hidden menu items including the Stoner Burrito. See our Del Taco Secret Menu to learn more. Many fast food chains began life as struggling restaurants, only to find their niche and exploit it to the fullest. But Del Taco had that niche covered from the beginning and were successful from the start. The first Del Taco restaurant opened in Yermo, California, in 1964. Ed Hackbarth and David Jameson were the masterminds behind this restaurant, offering fresh and delicious Mexican fare at low prices. In fact, just $1 could have gotten you a taco, a tostada, a cheeseburger and some fries, with change to spare. Of course, a dollar went a lot further back then, but this was still cheap, which is why customers flocked to Del Taco’s doors. During their first day of operation, they sold close to $170 worth of food, starting as they meant to go on. During the 1970s, Del Taco exploded in popularity. They had expanded to 50 restaurants by 1977, and in the year between 1977 and 1978 they opened a further 50. In the 1980s, Del Taco became one of the few restaurants to open 24 hours a day, serving a growing customer base that wanted around-the-clock service. By this point, most of their restaurants were located in the state of California, which ensured that wherever you went in The Golden State, you were always a short drive away from a Del Taco. Their next biggest stage of growth occurred in the first decade of the new millennium, when Del Taco expanded to 500 restaurants, including many outside the state of California. The Del Taco menu is huge, and there is plenty to choose from here. When they first opened, they sold both tacos and burgers, and they stick to that unique mix of menu items to this day. As well as stuffed tacos, burritos, and other Mexican classics, you can also order from the American Grill section of the menu. In this section, you will find their Double Del Cheeseburger, as well as some other American fast food classics. Some of these items still have a Mexican twist, such as the Deluxe Chill Cheddar fries, which come loaded with sour cream, chili and cheese. Their nachos are perfect for noshing in a group or with your family, and their quesadillas are also very popular. These cheesy, doughy delights come with bacon, with chicken or with extra spice. If you’re watching your weight, then you might want to opt for one of their Handcrafted Salads or Fresca Bowls. Both of these can be loaded with fresh green veg, lean meats, tortillas, and avocado. Just make sure you save room for dessert, because Del Taco has a wide selection of sweet treats to choose from. They have a Cinnamon Churro that makes for a great snack on the go, and there are also some freshly baked cookies, as well as some ice-cold milkshakes to dip them in. With so many menu options to choose from and such a diverse range of food on offer, it will not be a surprise to learn that the Del Taco secret menu is extensive. If you thought the Taco Bell secret menu offered a lot, then wait to see what’s in store here. If you know what to ask for and what to look for, you can load up on all sorts of cheesy, spicy and meaty creations. You’re going to need a big stomach and a big imagination, because the Del Taco secret menu is not for the feint of heart. Del Taco is fast, cheap and tasty food. Still, everything is okay in moderation, as the saying goes, and there are also some healthier menu options available. On average, their burritos contain around 500 calories and just over 1 gram of salt. But the fact that they are loaded with lean meats, healthy beans and copious amounts of cheese means they also give you a hefty dose of iron, calcium and other vitamins. One of their lowest calorie burritos is the Chicken Roller, which comes in at just 250. On the flip side, their Epic Steak & Potato Burrito contains a whopping 1040 calories and 61 grams of fat. Their salads and Fresca Bowls contain between 200 and 600 calories, but with plenty more healthy fiber, carbohydrates and vitamins. 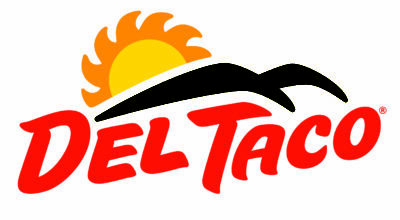 To learn more about Del Taco nutrition, just read our guide on the subject. Del Taco prices are affordable and you can generally gorge yourself for less than $10. They actually have some of the cheapest food of any Mexican restaurant, which means you’ll be tempted to load up on as many tacos, nachos and burgers as you can carry. As an example of what you can expect from Del Taco prices, just $10 will get you a Spicy Grilled Chicken Burrito, a packed Fresca Bowl and a Double Del Cheeseburger. It’s not quite the dollar feast that it was back in 1964, but your money still goes very far here. And if you want it to go ever further, take a peek at their dollar menu. Here you can get everything from a Regular Taco to a Chicken Roller and a Grilled Chicken Taco for less than a dollar each. It’s a veritable Mexican feast for less than the price of a cup of coffee at your favorite coffee house. Del Taco were pretty slow to expand outside of California. They had a lot of success within the state and it seemed like there was endless growth for them within the CA borders. They finally turned their hands to nationwide dominance in the 1980s. This began with the purchase of the Naugles Mexican Food brand, which gave them a further 171 nationwide locations. There are now Del Taco restaurants in 17 states, and the brand looks set to expand upon that number. Las Vegas has more of these locations than any other city, but in Lake Forest, CA, there are two Del Taco’s sitting on opposite sides of the street from each other. One of the main lures of Del Taco is the fact that it is open 24 hours a day, 7 days a week. You can pickup this fast, fresh and delicious food whenever you feel like it. They also have an extensive breakfast menu if you happen to find yourself there during the morning hours.